Following a recent particularly violent war, Bosnia-Herzegovina is progressively attempting to rebuild itself. Since 2003 it has been a potential candidate for the European Union, like all of the countries of the old Yugoslavia. One notices, after 10 years, the progress in favor of children in the realms of justice and healthcare. On the other hand, poverty, social exclusion and discrimination remain serious problems. Despite a growing economy that is doing well, poverty and social inequality are still important concerns. In fact, according to a report by the United Nation’s Development Program (UNDP) in 2007, 20% of the population lives below the poverty line ($1.25 US/day) and 30% live just above it. Social groups such as the Romani minorities, children and adolescents, along with the rural population, are the most affected by poverty. Though very worrisome, minors found guilty of criminal offenses and sentenced to a prison term are often incarcerated with adults, even sharing the same cells. The Committee for the Prevention of Torture is concerned that juveniles do not have a regimen adapted to their specific needs and that education is not offered to them, in addition to being concerned about the lack of adequate facilities and personnel trained to work with these young people. Nevertheless, there is progress, including the opening of the Educational-reformatory in Tunjice in 2007. Also since 2006, in compliance with international and European conventions, there has been an adoption of laws fighting minor delinquency even if the implementation of said laws is delayed. Despite the lack of concrete figures, it is estimated that close to 3,000 children do not live with their parents. 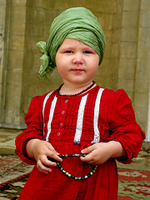 As a result of a legal decision , children are sometimes placed in institutions. Unfortunately, the majority of these establishments do not employ enough staff to correspond to the number of children housed there. The separation can also happen without the authorities’ awareness. It happens in cases in which children are the victims of trafficking, street children, as well as children left with other members of the family or friends. Physical punishment, although prohibited at school, is legal in the home. Despite the efforts of Bosnian legislation against violence and abuse, awareness campaigns remain insufficient, especially against domestic violence. Numerous children are victims of slavery, mainly young girls and adolescents who are targets of prostitution rings. These Mafia-like networks kidnap or, less often, pay the parents in order to take advantage of young girls in Bosnia, in the Balkans region and also throughout Europe. Healthcare expenses in Bosnia and Herzegovina are similar to those of other countries in the region, however access to healthcare differs from region to region. Minorities, principally the Romanis, handicapped persons, and displaced persons have the most difficulties accessing healthcare. 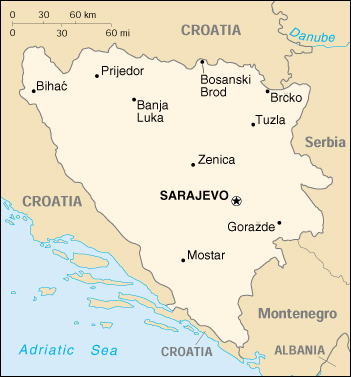 Bosnia and Herzegovina are divided nations in many places; the Federation of Bosnia and Herzegovina unites Croatians and Bosniacs, and the Republika Srpska where mostly Serbians live. The right to education is not standardized within the country, and due to the practical division of the nation there are numerous cases of the discrimination of students based on their origin. In Bosniac-Croatian regions, a system of “two schools under one roof” exists, which is the case for close to 54 schools. It is a system in which scholarly establishments provide different, even contradictory, education to Bosniacs and Croatians. The students of one group have no contact with those of the other and learn opposing versions of recent history, and yet are encouraged to build the future of their countries together. In the Republika Srpska, the educational system is not interethnic and is not adapted to different minorities. As for the children of Romanis, the situation is very disquieting. In general, the level of education is weak and the illiteracy rate is extremely high. Women and above all young girls are once again the most affected. Not very many Romani children go to nursery school and according to a report from UNICEF dating from 2007, 64% of Romani children do not attend grade school. In Bosnia and Herzegovina’s Constitution only three ethnicities are recognized: “constituent people” who are Bosniacs, Croatians, and Serbians. The rest of the populace is designated as “others,” this population category mixes close to 17 different minorities, of which the Romanis are the most affected by discrimination. 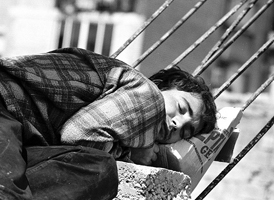 During the war, a large amount of Romani families had to leave their homes and rarely recovered their houses after the end of the war; which is why even today the majority of Romanis live in very harsh conditions and often in extreme poverty. It is a shame that the integration of children of Romani origin, especially in the educational system but also in society in general, is not a priority of the Bosnian government.